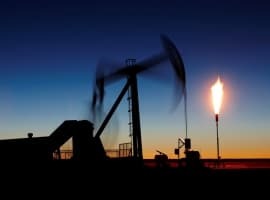 Oil prices hit one a month high on Monday thanks to speculation about potential producer curbs on supply and new data from market intelligence firm Genscape showing an estimated draw of more than 350,000 barrels per day at the Cushing OK delivery point. • The Permian Basin, after suffering a downturn in production, is poised to rebound next month. That prediction comes from the U.S. Energy Information Administration’s Productivity Report. • While the Permian should see a spike in production, the report says that collectively, the areas will see a decline in production next month. • Although oil prices reacted stoically on last week’s rig count report, the amount of rigs added to the Permian basin is starting to add up, offsetting production decreases elsewhere in Texas. Russian Energy Minister Novak said his country is consulting with Saudi Arabia: Novak says his country wants to achieve oil market stability. 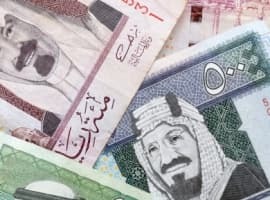 That news helped bolster oil markets following last week's comments from Saudi Arabian Energy Minister Khalid al-Falih suggesting Saudi Arabia’s willingness consider price support measures at an OPEC informal meeting next month. 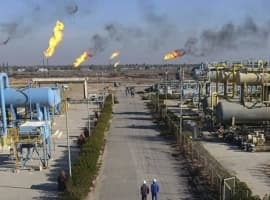 Morgan Stanley says oil price reversal could begin Wednesday; Morgan Stanley oil analyst Adam Longson says that the recent oil price jump has been driven by traders covering bearish bets. He expects oil to remain weak for the next few months and sees a decline in prices starting later this week. Parsley Energy Buying Midland Acreage for $400M: Parsley Energy agrees to acquire almost 12,000 undeveloped acres and producing oil and gas properties for $400 million. The sale includes associated mineral and overriding royalty interests in the Texas' Midland Basin. The transaction was done with unnamed sellers, and to finance the deal, PE launched a 7M-share public offering plus an underwriters option to purchase up to an additional ~1 million common shares. Finally PE is offering a $200M private placement of 6.250% senior notes due 2024. Concho Resources Buying Midland Acreage: Concho Resources is agreeing to acquire roughly 40,000 net acres in the Midland Basin for $1.625 billion using cash and stock. Funds for the deal will come from a 9M-share public offering, with an underwriters’ option to purchase up to an additional 1.35M common shares. Anglo American faces breakup pressures: The Times is reporting that Anglo American is under pressure from South Africa’s Public Investment Corporation to break up the company. Anglo’s platinum business will not be part of a selloff - mining the metal will continue to be one of the company’s three core businesses along with copper and diamonds. Piper Jaffray Likes SM Energy: SM moved higher after Piper Jaffray upgrades shares to Overweight from Neutral with a $42 price target, raised from $38. PJ likes SM’s valuation and the company's recent Permian Basin acquisition. Related: Is A Meaningful Rebound On The Horizon For U.S. Natural Gas? Energy Storage Is Finally Finding Its Way: Energy storage growth rates have been phenomenal in recent years, but to continue that trajectory, customers need to see a path to making money from installing batteries. A Virtual Power Plant Built With Solar and Storage Is a Blueprint for Australia’s Energy Future: AGL Energy of Australia has a new project in the works which could offer an effective template for future solar and storage projects. The $15 million virtual power plant is built around aggregated residential solar systems and battery units all connected through an overarching software platform. "This project could act as a catalyst and provide evidence for regulatory change to enable more Australian virtual power plants,” said Ivor Frischknecht, CEO of the Australian Renewable Energy Agency (ARENA). Xcel Energy's challenge: remake itself and boost profits amid flat demand: Minnesota utility, Xcel Energy is shifting away from its traditional focus on coal power and looking to ramp up its wind portfolio. The company has a history of success with wind power projects in the breezy Midwest including a $1 billion wind farm in Colorado announced in May. At peak times, that project would produce as much power as Xcel’s nuclear plant in Monticello. The nation’s first offshore wind farm takes shape off R.I.: Rhode Island is capitalizing on its geography with the nation’s first offshore windfarm. Once completed, the project should supply 30-megawatts to the region’s electrical grid generating enough electricity to cover roughly 17,000 homes, including all of the tourist hub Block Island. The project is moving ahead in competition with similar developments taking place in Massachusetts. Scotland just produced enough wind energy to power it for an entire day: Feeding into perceptions about the windy highlands, wind turbines in Scotland have generated more electricity in one day than what was used in the entire country. WWF Scotland did an analysis and found that stormy weather led wind turbines to create 106% of the total amount of electricity used by the country on 7 August. That situation while exception nevertheless highlights how wind power is changing the utility industry. Williams Updates Board Search: WMB says it will begin a search to add three new independent directors to its board. That search is expected to wrap up prior to the company’s annual meeting in November. Rosneft Earnings Fall: Rosneft says its Q2 net profit fell 34% year over year to 89B rubles or $1.4B. The result was driven by a fall in revenue of 8% to 1.23T rubles. Results were helped by a one-time cut in operating costs versus the previous quarter. Despite the downbeat results, investors had been expecting worse from the firm due to the beleaguered Russian economy and miserable oil markets. Bill Barret Resumes Drilling: The firm will resume its drilling program in the Denver-Julesburg basin. The company says it expects up to 12 new wells set to spud by the end of the year. The wells will generate a competitive rate-of-return in the current commodity price environment thanks to lower well costs and operating expenses in addition to benefits from a narrowing DJ Basin oil price differential. Shell majnoon is offline, 1mm bbl/day out of the market!